The balancing act the author speaks of is a tough one and being elegant while striking that balance is like a pilgrim trying to ride a giant unicycle as the Kumbh Mela is in progress while wearing a saree. Publishers operate in a dynamic, ever-changing world of business which has its own arithmetic challenges not just limited to book pricing – demands of rising costs and continued money-making for sustenance. Like all other businesses the publishing industry too, apart from other important things like promoting art and preserving literature, has to make money that can be ploughed back into the venture so as to be able to invest in more authors and reach out to a wider reading audience. 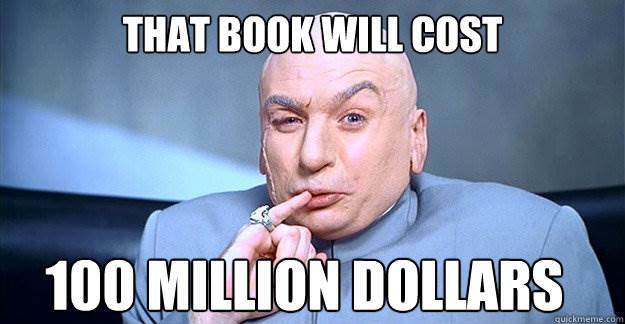 This brings us to an important question even before we delve into how the books price is set. How do books make money? There are other sources of revenue too like sale of ancillary rights – (like movie rights), but we’ll get to that in a later section. Book pricing strategy is arguably one of the most important aspects in driving sales. In price-sensitive India where there are not enough preventive laws to curb photo-copying and no stringent anti-piracy laws, the publishers need to be very careful in setting the cover price of a book. Though you might come across book pricing calculators, software and apps that magically come up with a book price that you can use, you’d benefit from learning more about the cost factors that come into play while pricing a book. Here are some of them that would directly affect your book pricing strategy. This is the actual cost of ink and paper and emulsifier to print everything from the words inside to the printing of the glossy cover and the blurbs, the cost of creating the physical sturdy hard-back or the soft paper-back. All costs incurred by the publisher in connection with the publicity of your books including web banners, social-media marketing, traditional print marketing, costs of launching the book (if you’re one of those people who get launched with the flamboyance of a party! ), cost of featuring you – the author, in various print and online newspapers and magazines. This is the monies paid by the publisher to the creator of the work, the author. Usually this is a fixed % of the retail selling price of the book and this % is usually pre-decided in contracts. Sometimes the % varies for hardbacks and paperbacks because the costs involved are different. Royalties also include % of revenue from sale of ancillary rights which we will talk about a little later on. The cost of book cover design and all creatives that are designed in connection with the book such as author photographs and purchase of copy-righted cover images, if any. These costs include employee man-hours spent editing and type-setting the book and other overheads of the publishing firm (light, water, electricity, rent, yada, yada, yada). Printing anything more than the numbers mentioned above results in the risk of incurring warehouse space for unsold copies. The average price for fiction books sold in India ranges from Rs. 100 for ‘quick-reads’ and pulp fiction to Rs. 350 for literary fiction titles. Hardbacks cost more than Paperbacks. Exceptions: Coffee Table Books, Graphic Novels and Picture Books whose printing costs are considerably higher. The number of books printed to are lesser (because this is a niche market and only a select audience purchases these genres) thus increasing the cost per unit. A publisher normally will not price a book very differently from other titles in the similar genre. A comparison will be made between one author’s brand and position in the market versus the other author before a price is decided. What is the market reading? What has been done before? What hasn’t been done before? These are some of the questions that the publishers ask before fixing a price. A book meant for a niche market (like croquet) will be priced higher because of a small perceived number of readers. The logistics costs will increase for remote locations but publishers are not known to use a differential pricing strategy. Instead they use a distribution channel that has reach in places where they don’t have a presence. For instance, Flipkart delivers to most locations so publishers will tie-up with such channels. Most publishing contracts between an author and the publisher will have the following subsidiary rights. 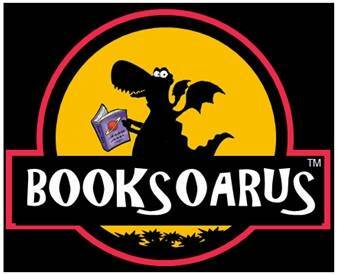 (or alternate sources of revenue, i.e, other than sale of physical books). Some authors might have sold some of or all of these rights to the publisher who in turn is free to sell these to a third-party (eg: a publisher in a foreign country) and a % of proceeds from these ancillary or subsidiary rights is paid to the author as part of royalties. Although book pricing strategies aim at complete cost recovery the final decision will always be a function of demand. Which is why some books continue to retail at launch prices while others retail at significantly lower than launch prices. Do you think there are other determinants of price? Please leave a comment ! I’ve been writing an fictional mystery thriller i just started it would you please give me basic writing suggestion for beginner like how to design plot, storyboard, Development of characters, character description and narration I’ve contacted some writters for suggestion and they were really kind to respond on my querries but i believe you’ll explain these things to me better. I have a novel published on Amazon Kindle, and i want to have it published in hard copy. I seek your help/advice on the same. In Amazon Kindle, it asks for TIN. I am just a single author. How do I get that? Or is there any alternative?